INDIA. Mumbai. 2006. 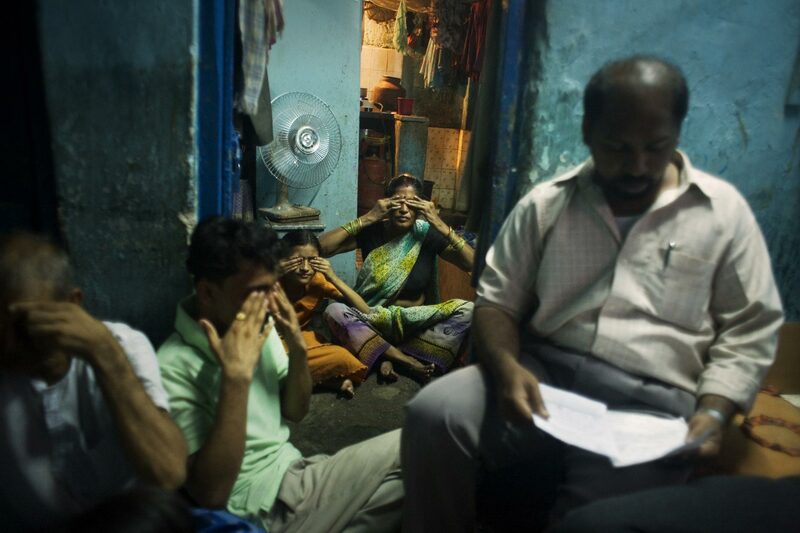 In the Singh household on Dr. Rajendra Prasad Chawl, a narrow lane in the middle of Dharavi. Around 8pm Meera's favorite TV programme comnes on, a Yogi called Baba Ramdeo. During the show, the family joins in the excersises.